Those last few days of school nearly killed me. I can’t believe I survived, but I didn’t get through it entirely unscathed. 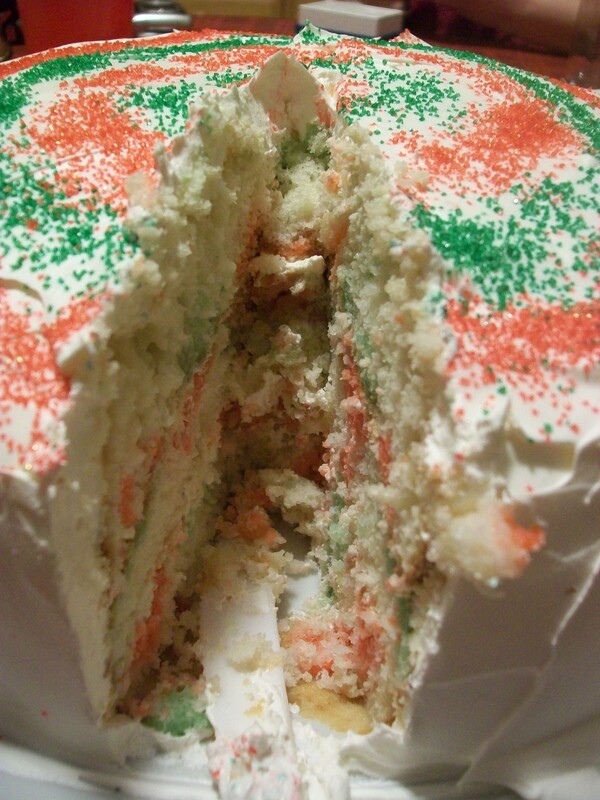 I was dying with my lack of food supplies, and so I couldn’t relieve my building stress through baking. Note to self for next semester: NEVER run out of eggs or milk during finals–it only results in frustration and sadness. I couldn’t make ANYTHING I wanted to make, and so my stress levels just built up and I eventually just shut down and avoided the looming papers and exams for a while. But now I’m back home and there’s a blizzard outside. . . . Oh yeah, snow just make everything better *sarcasm*. At least I got to avoid snow for the first few days back. 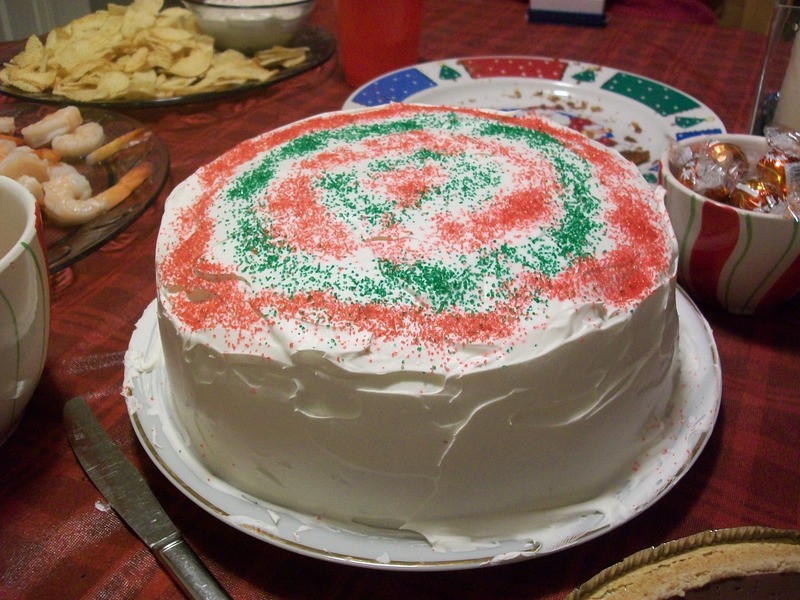 One of the first things that greeted me when I stepped in the door was my list of desserts my father was *letting* me make for our Christmas parties. Yes, that’s right, the desserts he was *letting* me make. Needless to say, I was not thrilled with that. 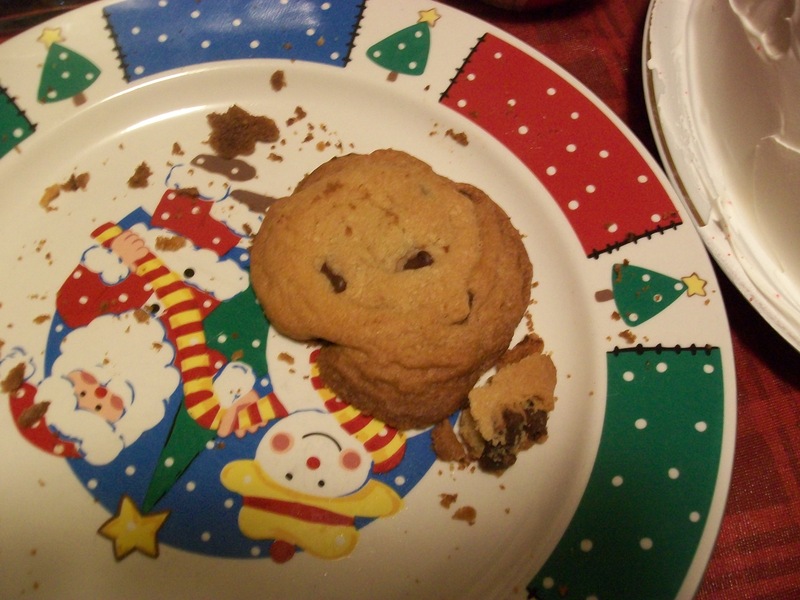 I was even less thrilled when my mother then said that I has to be “Little Miss Semi-Homemade” this year. I was even less happy with that restriction. 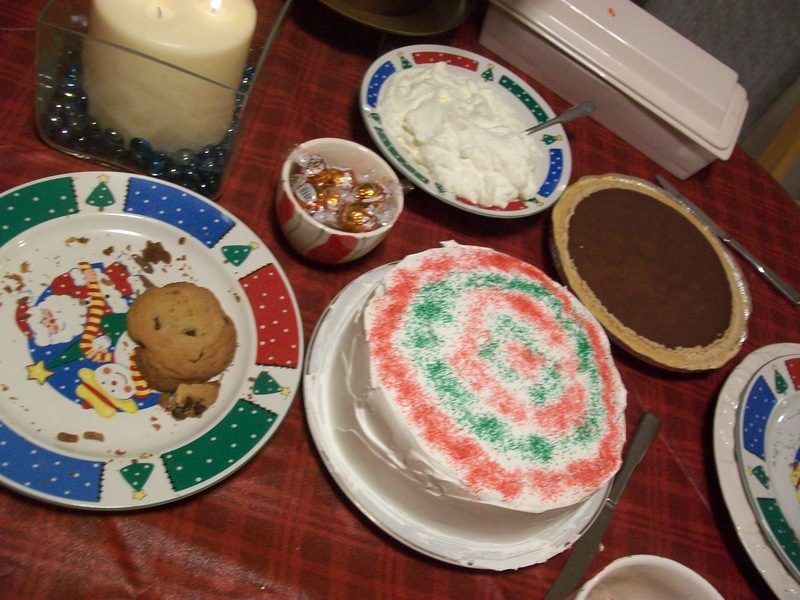 So on my list of “approved desserts” I had chocolate chip cookies, a Jell-o cake, and a chocolate pudding pie. I had nothing against the cookies, but the cake was from a box and the pie was with a store-bought graham cracker crust and instant pudding mix. Again, I have nothing against people who use these, but I don’t enjoy using them anymore. Now that I have the resources and ability to make things entirely from scratch, I want to keep exploring and seeing what else I’m capable of baking well. Doing it my way does not take much longer, nor is it much messier, than making things from a box, but my parents just don’t understand that. They’re fully content with suppressing my creativity and encouraging a manner of baking that no longer gives me any enjoyment whatsoever. If anything, being told what to make and how to make it just irritates me beyond belief and makes me not want to do it. Is this my teenage rebellion belatedly manifesting itself in my baking? In any event, I made their desserts and still got yelled by my mother for making a mess. I just can’t win with her. I made her desserts as directed and still got yelled at. For some reason no one even touched the pudding pie. Not even my mother, the person I made it FOR. I could have made it a mousse pie. Thanks a lot, mom. 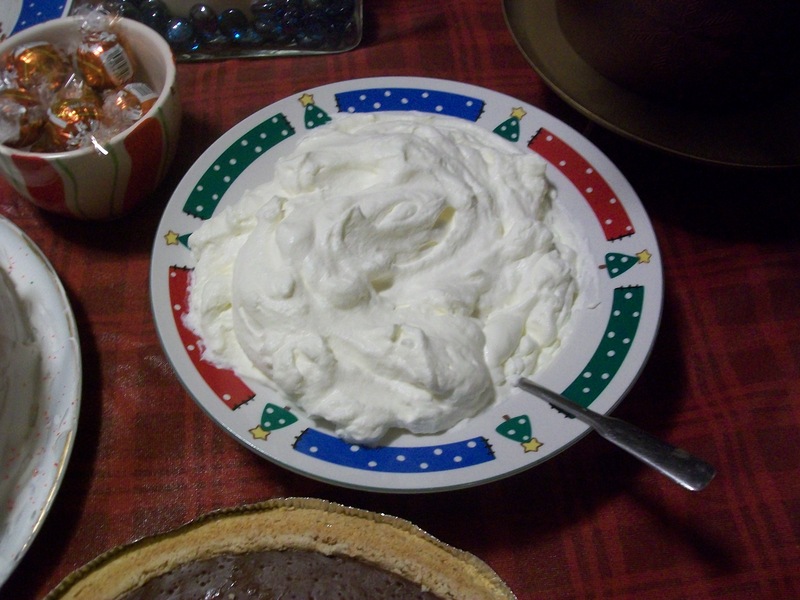 At least I got to make whipped cream, even if no one but me enjoyed it. They were certainly missing out by not eating it, though. While my parents were out at the store in the afternoon, I managed to sneak in one scratch yellow cupcake batch with chocolate buttercream frosting. I had to put my foot down on the frosting front, even though my parents got home before the cupcakes were done or frosted, and so I made the buttercream right under their noses. Look how well they went over. I started the events with twelve cupcakes and two bundts, and all that remained was one cupcake and one bundt. Homemade for the win! 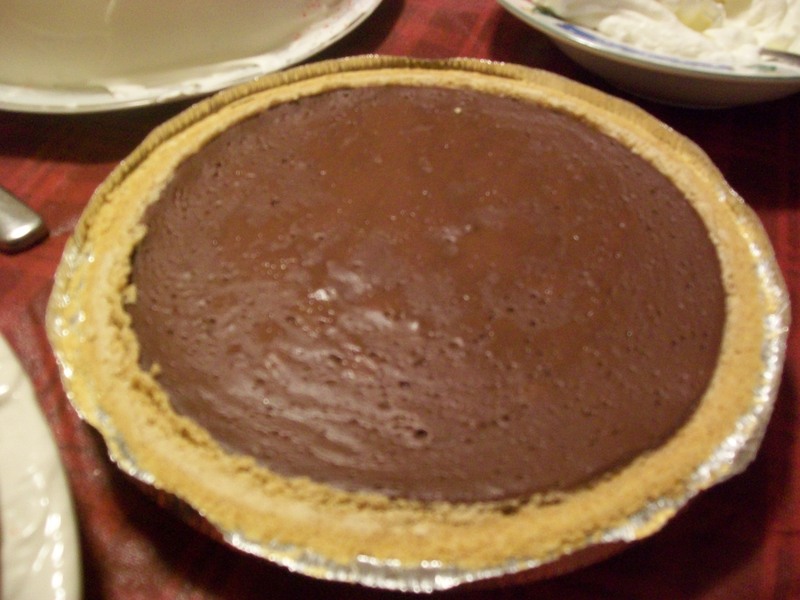 Even as I was baking, my father didn’t think there would be enough, so he wanted to add a pecan pie and another chocolate pudding pie (which would have thankfully been from scratch). I was going to make the pecan pie during the break between our two family parties, but that never happened, and it wasn’t even needed. My father’s side of the family is large-ish, and so there were about 18 people here (and 4 people were actually missing), and my father expected there to not be nearly enough food or dessert, but he was definitely wrong about that. There were meatballs, kielbasa in this strange grape jelly/chili sauce sauce, Velveeta mac and cheese, a spiral ham, shrimp, chips and veggies and dip, my aunt’s beans, another aunt’s “crabbies” and her yummy mini chicken salad sandwiches, another aunt’s teryaki chicken wings and such, scallops wrapped in bacon, a quiche, and probably something else I’m forgetting. 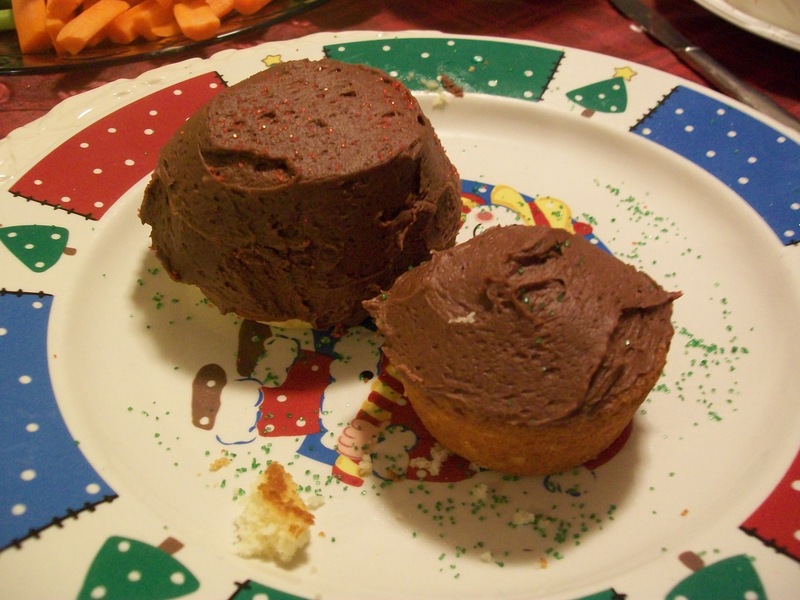 Then there were a few of my remaining cupcakes and cookies, my pudding pie, my Jell-o cake, and some store-bought cupcakes my cousin brought because he didn’t know what to bring. 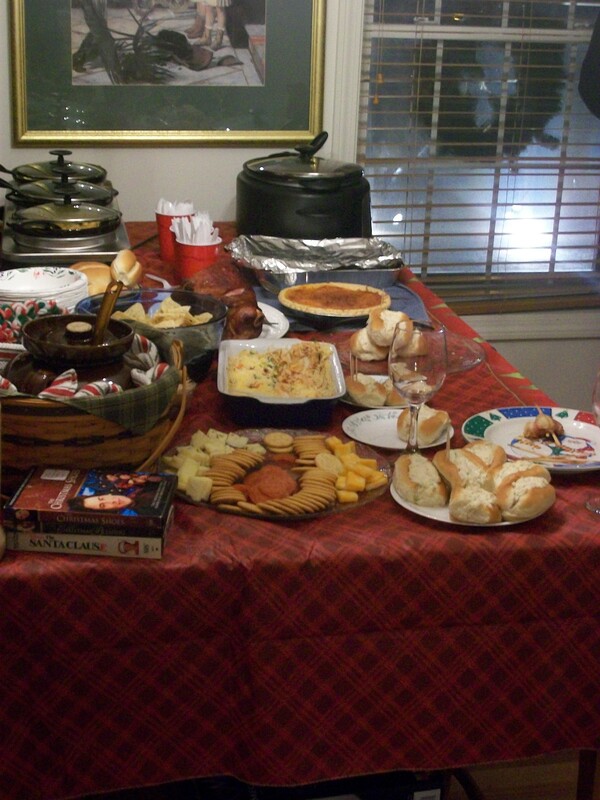 There was just so much food on Christmas Eve because in the afternoon we had hosted my mother’s side of the family (just 9 of us total). So much food, so much sugar, way too much family, and entirely too many leftovers. A cupcake and a mini Bundt, more than half the Jell-o cake, the entire pudding pie and it’s accompanying whipped cream, and more than half my cousin’s cupcakes remained after everyone left. Needless to say, the eating will continue for a few more days than expected. In other news, I think Fishy rather enjoyed his first Christmas and his first Christmas present. Next postThe Triumphant Return of Miss Homemade!